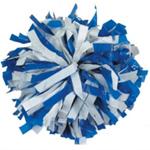 Poms are custom made with an order lead of 5 10 business days and there are no returns, refunds or exchanges after order placement. Copyright © 2005 Divergent Marketing. All rights reserved.